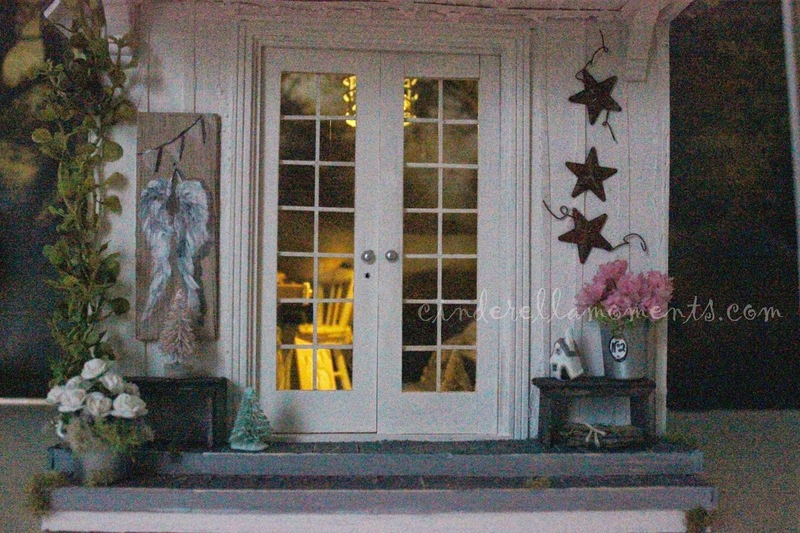 Caroline, your Angel Studio is so beautiful! What a treat to see all of your wonderful details. I'm so sorry to hear about the loss of your sweet Mia. Hugs and prayers are going your way. I'm very sorry about your sweet kitty's passing. We had to put our beloved cat, Spazz to sleep a couple of Christmases ago. We were blessed with his company for 16 years. I miss him still. 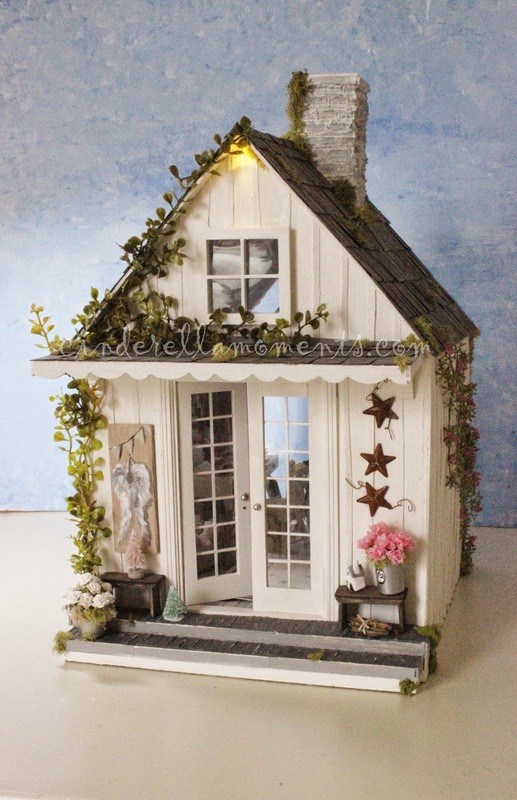 I love your angel cottage. 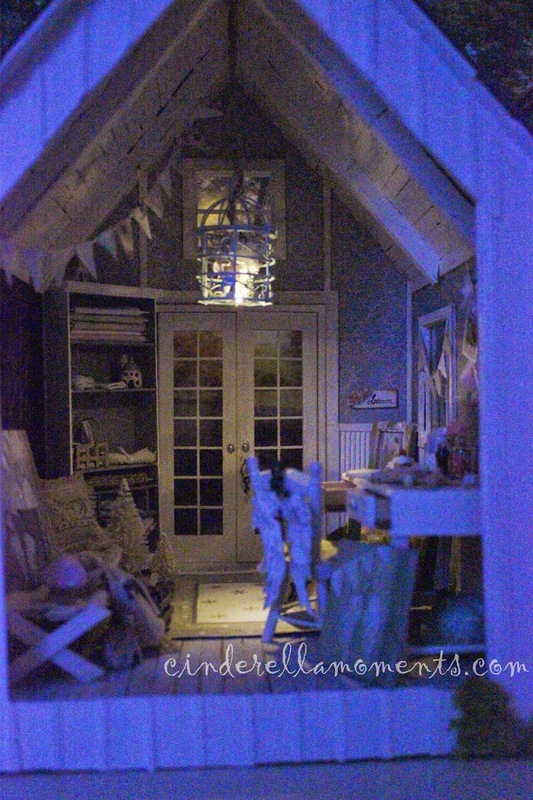 I'd love to have a full size workshop just like it! It is beautiful! few fine details, candy ... it's amazing! a perfect job, very Cinderella moments! sweet and harmonious. Congratulations, Caroline. What a sweet and romantic studio. Any artist would be thrilled to have one so lovely. 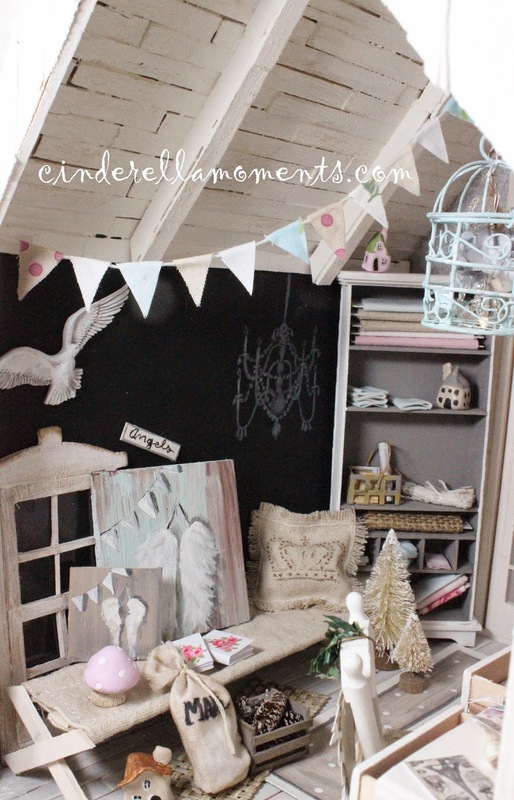 I love the real clutter, makes it real! So, so sorry about your precious baby girl Mia. Just know she is young again and will be waiting for you at rainbow bridge. 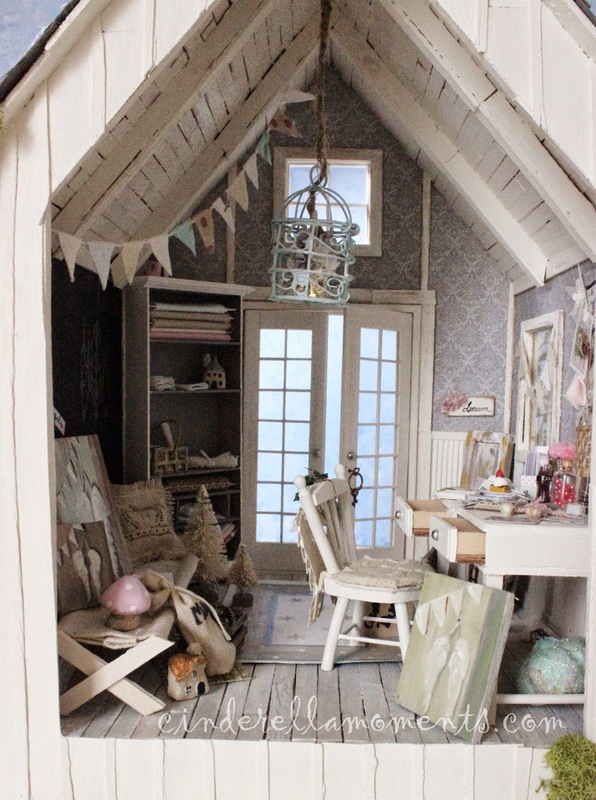 I love your studio and would like to have one like this in real life. I'm so sorry your cat isn't with you anymore. Commiserations on the loss of your little Mia. I know how hard it is to lose a beloved pet. Your little house is super sweet. Que estudio tan bonito!!! Yo quiero uno en escala 1/1,con todos esos detalles maravillosos y esa agradable atmósfera que has creado en él!!!! 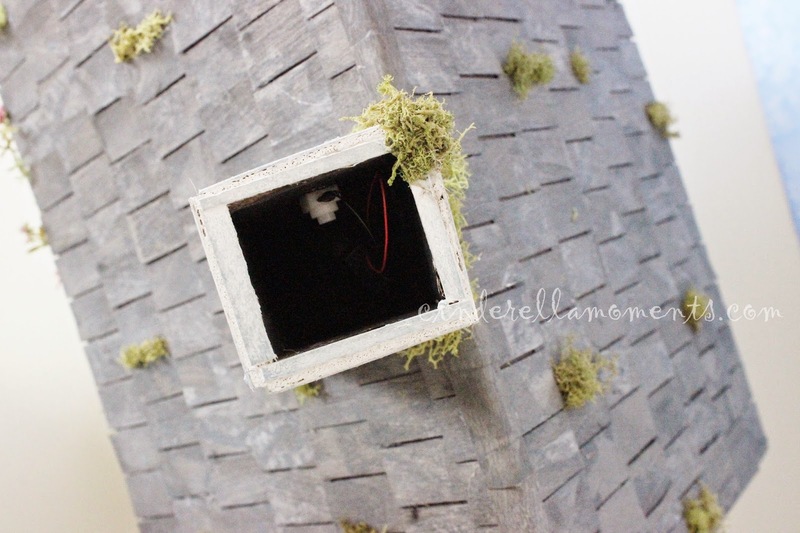 Hi Caroline, you house is amazing, such wonderful ideas you have. I'm so sorry to hear about your beloved Mia, it's so hard to lose a little friend. Wow your house is magical. I love all your painted wings they are beautiful. The cluttered desk is fantastic and makes it so real. I am sorry for your loss our pets become so much a part of us it is hard to say goodbye. Wonderful style and work hon, the angle bits about are so wonderful and light. 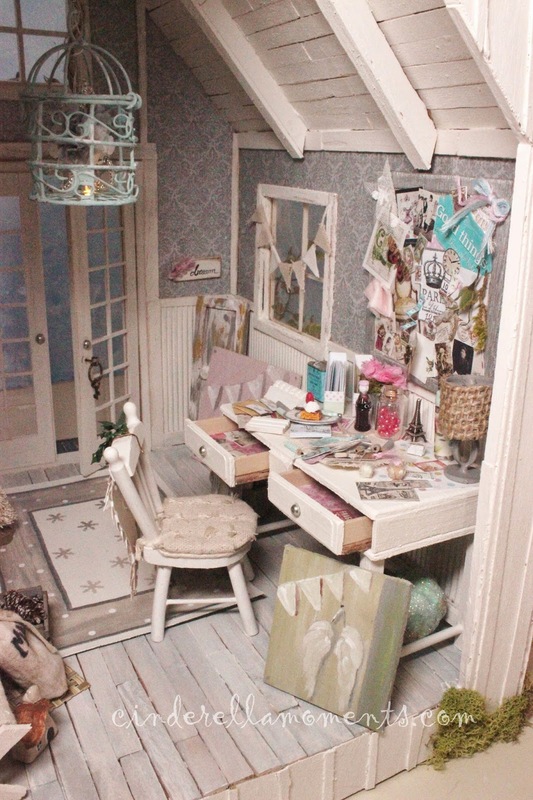 What a gorgeous studio, Caroline! 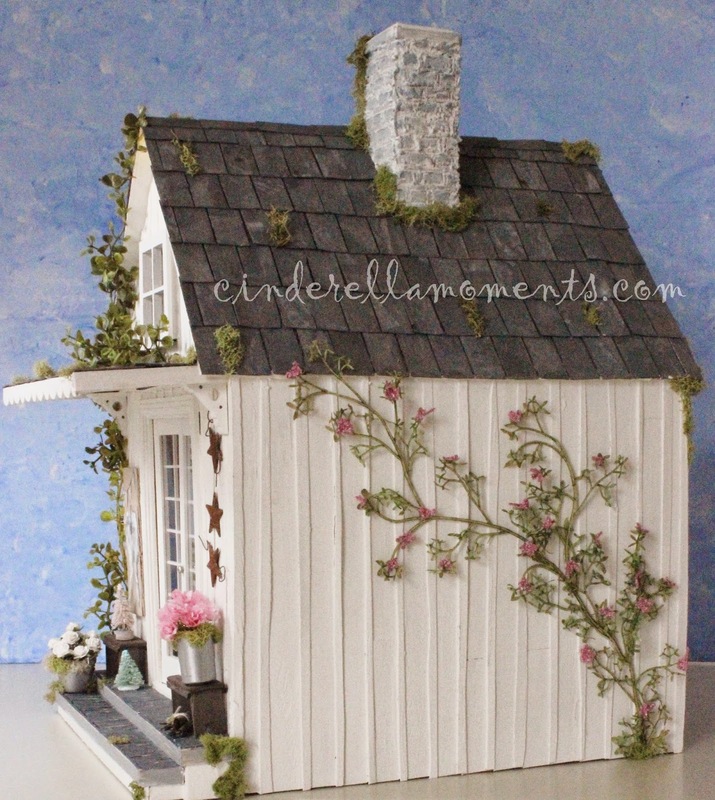 I love all those gorgeous handmade and detailed miniatures! I am so sorry for your loss of your beloved Mia. Me encanta como has decorado el estudio La parte exterior es también muy bonita. I looked photo from Mia for a long time. PS. 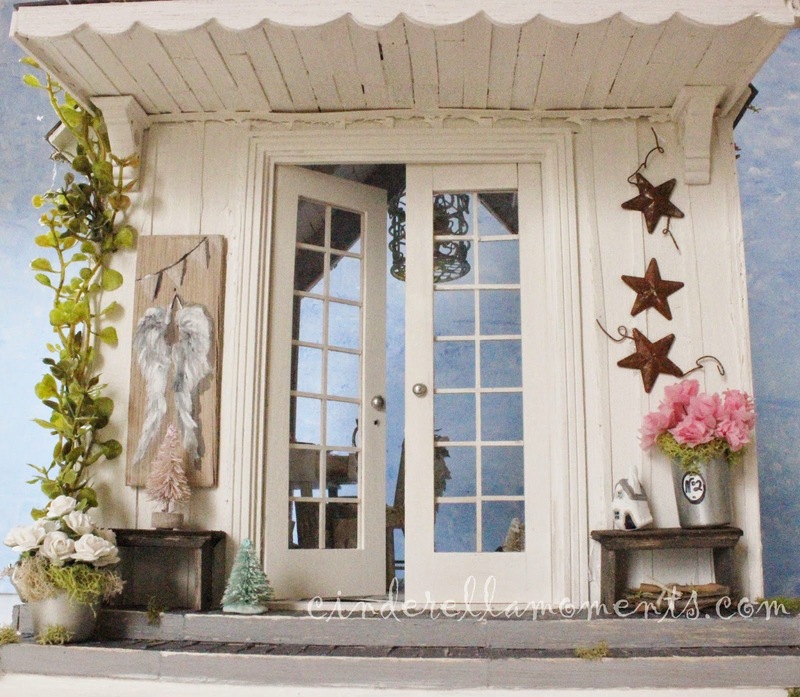 Your Angel house is adorable with wings and with many other details. I love the memo board. So sorry to read about your Mia, she was truly a member of your family.I love the studio and all the little designs and the memo board is just so cute and filled with all kind of ideals. I love your cottage. You have such a wonderful imagination. Sorry about Mia. Both my dog and cat are getting up there in age. They become such precious members of the family. It's beautiful and incredibly enchanting! 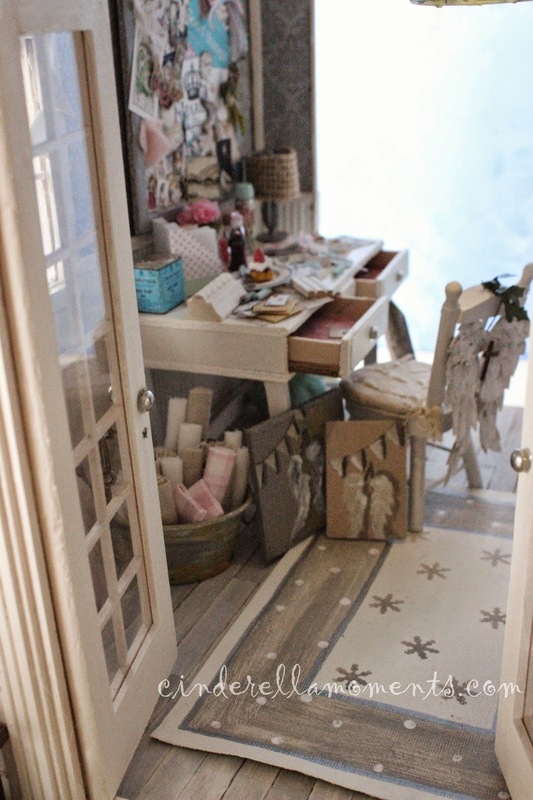 I have to say it isn't often I see a mini room that I want to rummage about in, there are so many fun little details. I'm very sad for you and your adorable cat! So sorry about Mia. It's always difficult to lose a pet- they become a part of our families. Love the art studio! 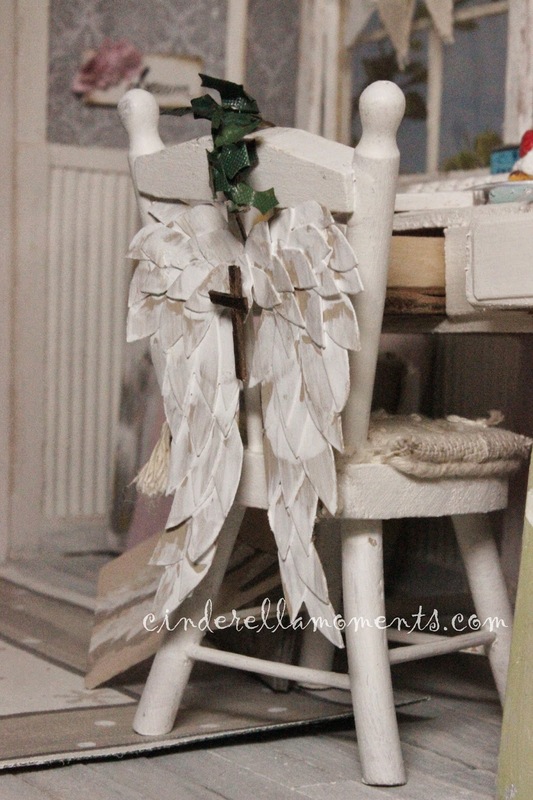 The cardstock angel wings on the back of the chair are perfect. 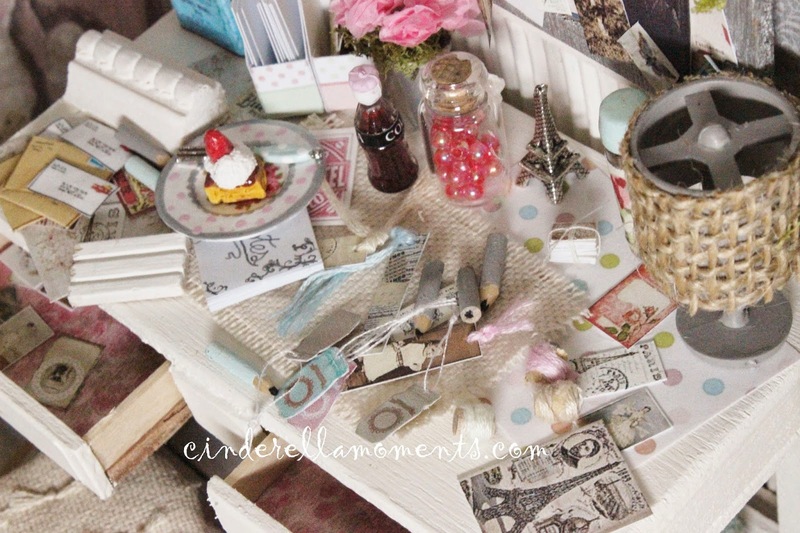 Love all the intentional clutter on the desk. So realistic. The mini pinecones are great too! How do you find time to make so many miniatures? After work and life, I find I have no energy or time left. Another fabulous cottage. I don't know how you do it; such wonderful detail. I have said before, you inspire me. 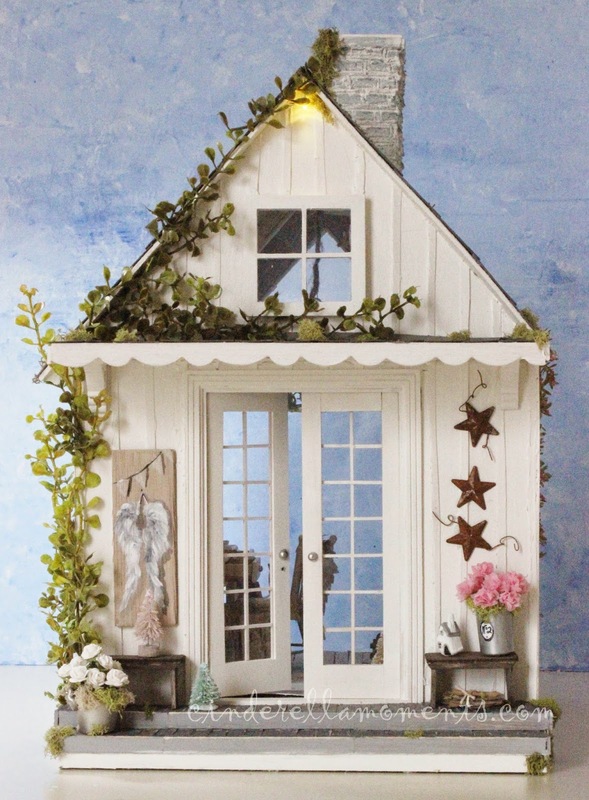 My dollhouses are on hold until after the holidays. I miss working on them. I am so sorry for Mia. She looks like a very sweet kitty. We lost both of our cats, one at 17 the other at 18. I am sure Mia lived a wonderful life and you will miss her greatly. Love your Angel house Caroline! Its simplicity is its beauty. Our fur babies are like our children and even though they're never far, we long for them. 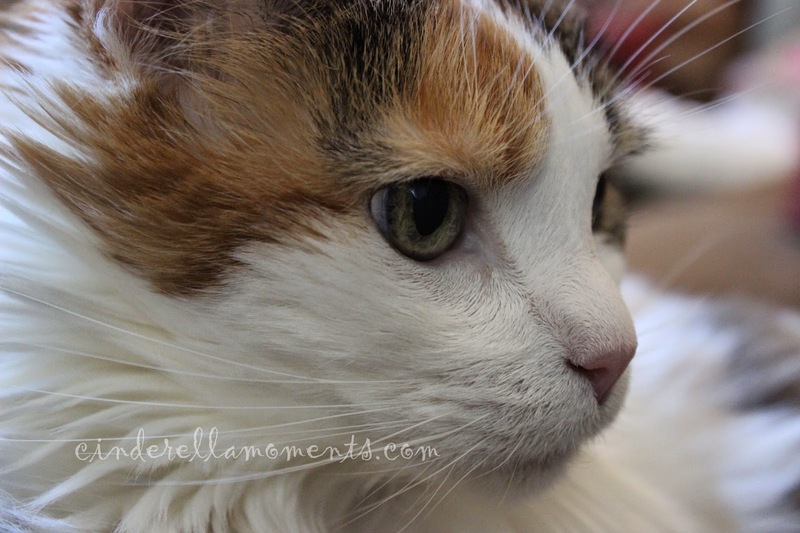 My 20+ yr old fur baby went to kitty heaven just Nov. 15th so I feel the pain of your loss. Christmas blessings to you and your family! Your interiors are so realistic. The clutter reminds me of someone I know! Lol. Sorry to hear about kitty. Did her passing inspire the cottage? 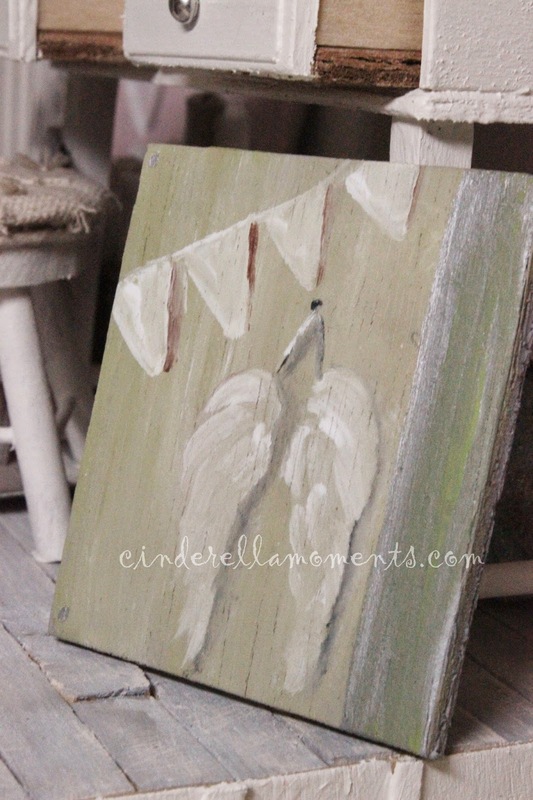 Every time a bell rings, an angel gets their wings. I'm so sorry about your sweet Mia:( RIP little kitty! Your Angel Studio is so breathtaking!!! 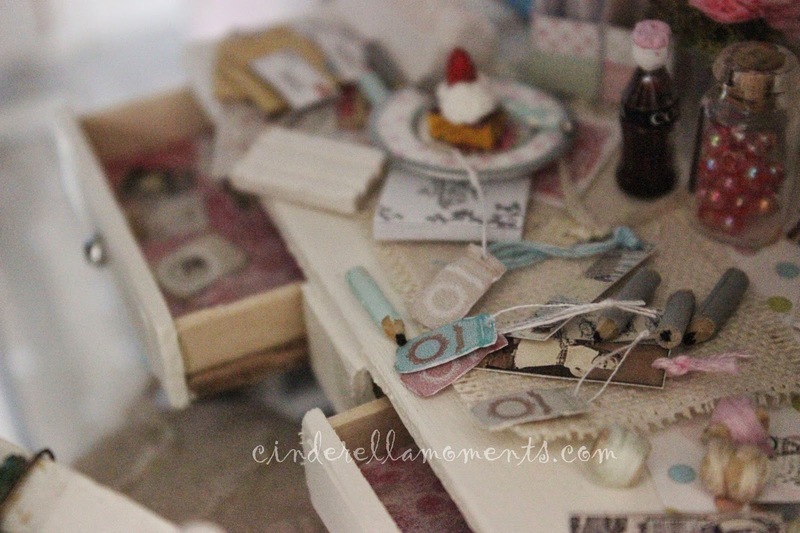 I love cherub wings and seeing them in miniature is just adorable:) Love the busy desk, I even spotted some miniature pencils! 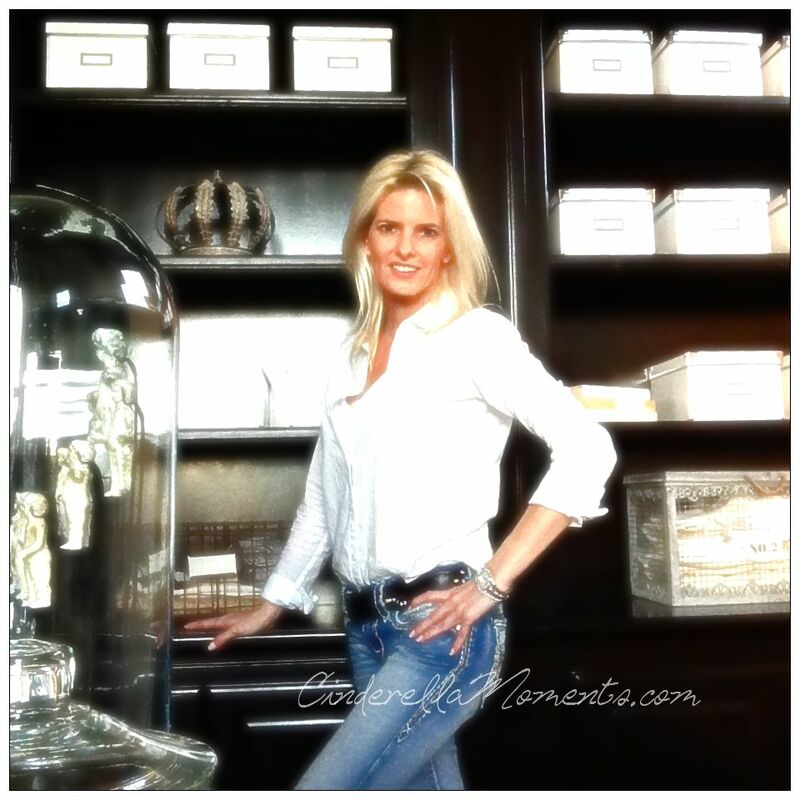 BTW, do you know whatever happened to Sandy Foster from the Shabby Streamside blog? 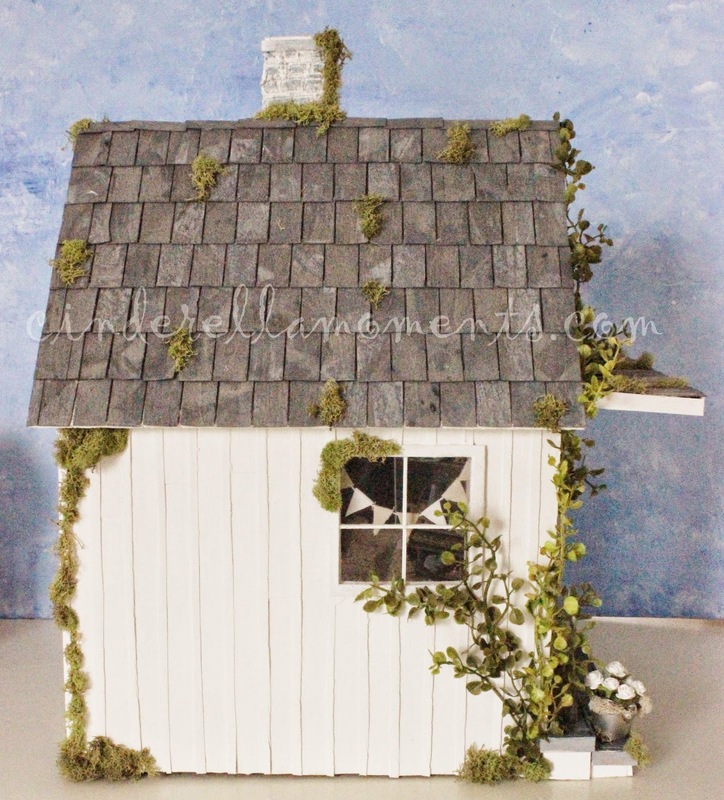 I just got a new RA book and her little shabby chic cabin is in there so I started wondering how she was doing but wasn't able to find her active on any social media. I hope she does an updated blog post one of these days! And I'm so sorry about your loss! 18 years is a long time, you most have been close and loved her very much, I'm glad you are so thankful for the time you got together, that most make it easier to deal with the loss. Am sooo sorry it has been so long since I have been by,I have missed you and many others in blogland, but I just had no time since my sister-in-law broke her hip in Oct.
She is home and doing well, Praise God!! and we get so attached to these fur babies........so know that you will all miss her, so I will send up some prayers for you and your family. ever hon, and look forward to Jan. when I can hopefully visit a bit more. 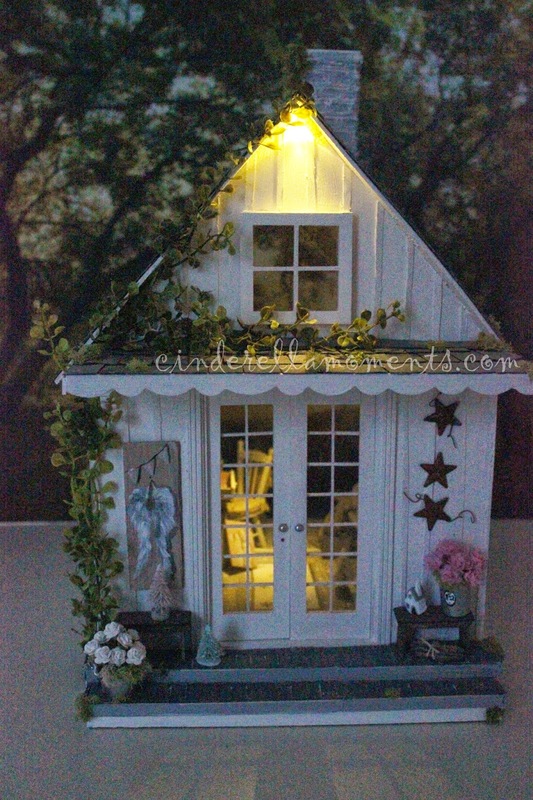 Hi Caroline -- my comments just mirror what everyone has already said so well. . .your angel cottage is awesome - I too love all the detail. & so sorry about Mia! No matter their age -- it's always so painful to lose a pet. Es maravillosa Caroline, me encantan todos y cada uno de los detalles. Oh, oh, oh, I'd love a little art space like this in real life!! What a stunning make, Caroline - every detail is just delicious. 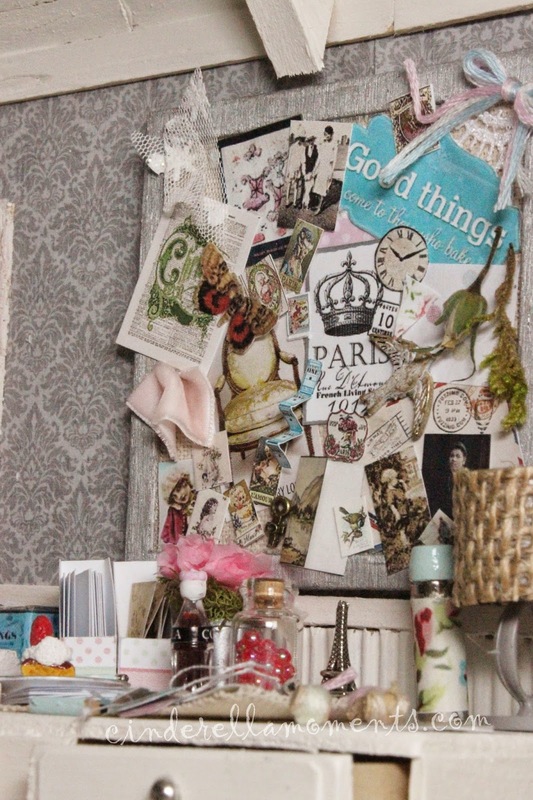 I love the busy desk and memo board full of inspiration - amazing work as always! So sad and sorry to hear about Mia - it's a horrible thing to lose a pet.